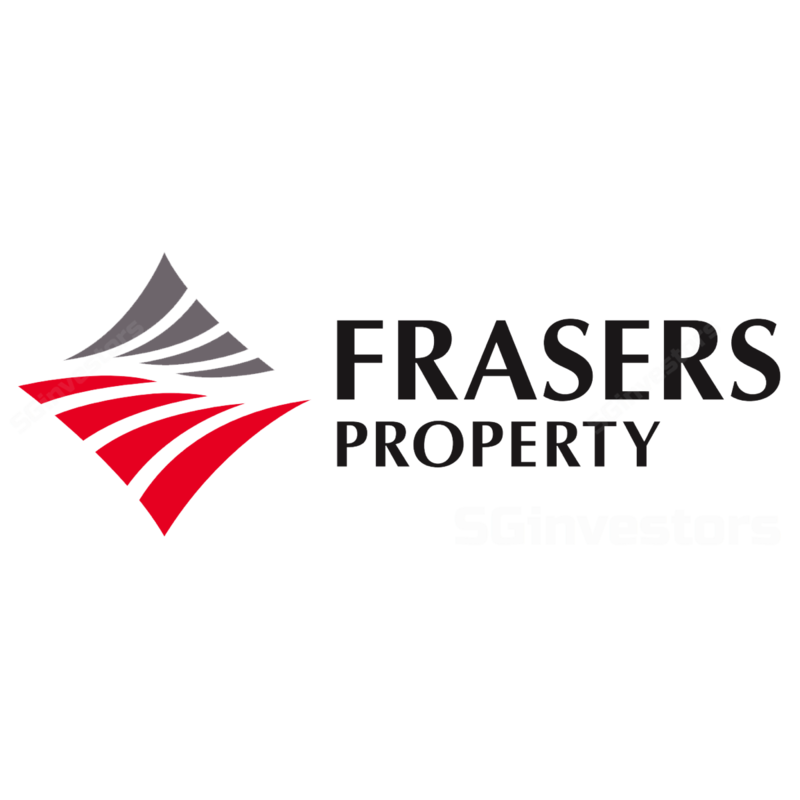 Acquisition of 25% of issued share capital of Frasers (NZ) Pte. Ltd.
REPL::Update on Buy-out of Remaining Shares in Geneba Properties N.V.
Update on Buy-out of Remaining Shares in Geneba Properties N.V.
Update on One-time Offer For All Remaining Shares in Geneba Properties N.V.
REPL::Issue of S$300M Fixed Rate Subordinated Perpetual Securities by FCL Treasury Pte. Ltd. Proposed Issue of S$300M Fixed Rate Subordinated Perpetual Securities by FCL Treasury Pte. Ltd.
REPL::ISSUE OF $30 MILLION 4.25% FIXED RATE NOTES DUE 2026 BY FCL TREASURY PTE. LTD. PROPOSED ISSUE OF $30 MILLION 4.25% FIXED RATE NOTES DUE 2026 BY FCL TREASURY PTE. LTD.
REPL::Issue of S$42M Fixed Rate Subordinated Perpetual Securities by FCL Treasury Pte. Ltd.
Acquisition of 25% of the issued share capital of Frasers (UK) Pte. Ltd. Proposed Issue of S$42M Fixed Rate Subordinated Perpetual Securities by FCL Treasury Pte. Ltd.
REPL::Issue of S$308 Million Fixed Rate Subordinated Perpetual Securities by FCL Treasury Pte. Ltd.
Commencement of Consent Solicitation and Tender Offer Exercise by FCL Treasury Pte. Ltd. Proposed Issue of S$308M Fixed Rate Subordinated Perpetual Securities by FCL Treasury Pte. Ltd. One-time Offer For All Remaining Shares In Geneba Properties N.V.
Acquisition of Shares in Geneba Properties N.V.
REPL::ISSUE OF S$50 MILLION 4.15% FIXED RATE NOTES DUE 2027 BY FCL TREASURY PTE. LTD. PROPOSED ISSUE OF $50 MILLION 4.15% FIXED RATE NOTES DUE 2027 BY FCL TREASURY PTE. LTD.
REPL::Issue of S$52 Million 4.150% Fixed Rate Notes due 2027 by FCL Treasury Pte. Ltd. Proposed Issue of S$52 Million 4.15% Fixed Rate Notes due 2027 by FCL Treasury Pte. Ltd.
REPL::Issue of S$398 Million Fixed Rate Notes due 2027 by FCL Treasury Pte. Ltd. Proposed issue of S$398,000,000 Fixed Rate Notes due 2027 by FCL Treasury Pte. Ltd. Proposed issue of S$348,000,000 Fixed Rate Notes due 2027 by FCL Treasury Pte. Ltd.
Press release on launch by Frasers Hospitality of North Park Place in Rajpruek Golf Club, Bangkok. Press release on sales achieved for project "Wonderland" at Central Park in Chippendale. REPL::Issue of US$200,000,000 Fixed Rate Notes due 2021 by FCL Treasury Pte. Ltd.
Issue of US$200,000,000 Fixed Rate Notes due 2021 by FCL Treasury Pte. Ltd.
REPL::Issue of S$250,000,000 Fixed Rate Notes due 2026 by FCL Treasury Pte. Ltd.
Issue of S$250,000,000 Fixed Rate Notes due 2026 by FCL Treasury Pte. Ltd.
Press release on sales achieved for project "Park Gallery" at Cova, Hope Island. Press release on launch by Frasers Hospitality of Fraser Place Setiabudi in Jakarta, Indonesia. Acquisition of the entire issued share capital of SQ International (Australia) Pte. Ltd.
Press release on launch of "Fraser Place Tianjin"
Media release on up-coming suburban new mall "Waterway Point"